About five years ago, I saw a powerful movie. Without giving too much away, today’s guest was in that movie, October Baby. Her performance made a lasting impression and spoke to the healing that is found in forgiveness. 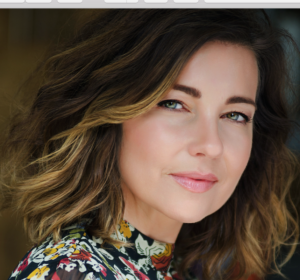 Let’s give a warm welcome to the lovely and talented, Shari Rigby, as we learn about her book, Beautifully Flawed: Finding Your Radiance in the Imperfections of Your Life. 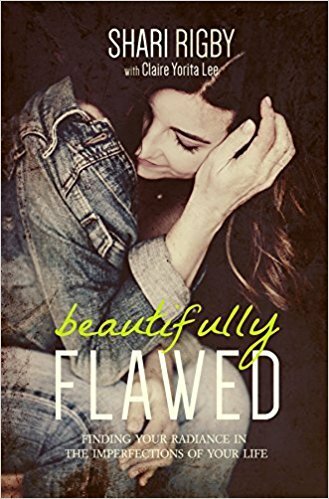 The book trailer for Beautifully Flawed is stirring; well done. What do you hope readers gain from your autobiography? Thank you! It was such an incredible experience to co-write, produce, and direct the Beautifully Flawed book trailer*. Everyone that participated in the project someway or another has influenced ​my life and my story. I believe everyone has a story, a powerful life message to share with others, to give hope and to help us remember we are not alone. Our life situations and relationships shape us, building our character while facing trials and tribulations, but also celebrating the goodness of God’s grace. I believe God has called me “for such a time as this.” If God can use someone like me, flaws and all, He can definitely use someone like you. He sees you as special, He wants to use your story, your testimony. You just have to be willing. Our flaws shape us, they make us who we are, they draw us closer to God. I am who I am today, because of them, and they are what ultimately brought me into a relationship with Jesus. This is how we know how much He loves us, that despite all our imperfections, He sees us as beautiful. What were some of the lies you bought into as a teen, about your identity and worth? How did those lies fuel your choices? One of the lies ​I bought into as a young girl was that I wasn’t good enough to be part of certain friend groups. I had crazy curly red hair, held onto my baby fat until junior high and I had a lisp. The girls I saw as popular with the girls and boys, were perfect in every way which meant they looked different than I did. I took this negative talk into my junior high and high school years, which made me settle for second best when it came to guys. I longed for attention and the need to be loved. I found myself in one broken relationship after another and my self-worth become more frayed. You say, “the desire to be needed was an addiction far greater than any drug, and it began eating me alive.” Can you share an example of how that addiction played out? And what led to breaking that addiction? How did Christ draw you to Himself? 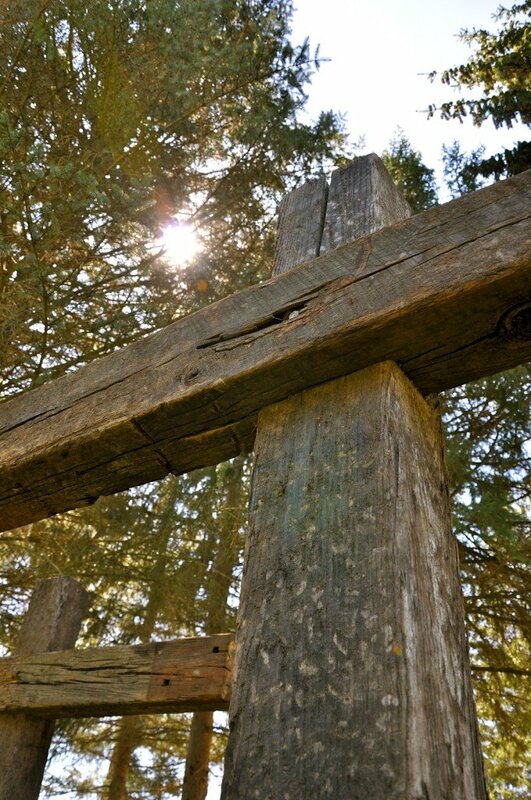 ​Christ drew me near to Him over and over again through miracles in my life. Looking back, I can tell you that there are many things that happened in my life that only the Lord saved me from…simply said, “I shouldn’t be here.” ​Also, I count myself as very blessed because I believe that I’ve always been able to hear the Lord’s voice. Whether He is speaking directly to me or through a vision or dream, He has made our relationship so real. I’m not sure if that makes sense but I know that He longs to be my all in all. He sits with me. He stands before me. He sees me and encourages me to keep running the race…reminding me that I am beautifully made to glorify His kingdom. Now when you have that purpose, you continue to see that He is truly our Abba! When you were a single mom, what did you most need from other believers? What advice do you have for others coming alongside single mothers? I was a single mom for several years until I started dating my husband, Matt. Up until that time I wasn’t in church or living a life as a Christ follower. However, when we started dating, he quickly invited me to church where I turned my life over to Christ. My biggest fear of walking into that church was believing that I was damaged goods or at least I thought I was and that everyone would know my past and treat me differently because of it. Again, those were lies that the enemy wanted me to believe to keep me out of church. As my relationship grew with Christ, I began to see how He saw me as pure, blameless, and His. I will say that I have met Christians that don’t hesitate to wear their thoughts on their sleeves so to speak about single mothers or just hard topics in general. I just try to be full of grace and share all that the Lord has done in my life, hoping they will be reminded that He has done the same for them. I would say it is our job as believers to love single mothers like Christ loves the church. We need to be kind, gentle, and willing to step in and up to assist a mother in need. When we are able to show this kind of love and service to her, this will in turn give her a self-confidence and knowledge that she is loved and worthy. Then she in turn will bestow this upon her children and they will be encouraged to know that their lives are beautiful and purposeful too. This is the way we help to change generations! If you could sit down with another woman who has had an abortion, what words would you offer to her? What might she need to know and hear, in light of God’s heart for her? I think the thing we so often forget when sitting with someone who is struggling with past decisions or mistakes, is that sin is sin…brokenness is broken, so which one is she dealing with? After listening, depending on the woman, I usually ask if I can pray with her first before sharing my thoughts. Then I begin to share about who Jesus is. The New Testament Jesus. The Jesus that sits with the woman at the well or the woman with the affliction. Or the woman that is about to be stoned that He stands before…taking on all of her accusers that have come against her. You see, this is the Jesus I know. Once we can experience Him on this level, to see Him as He sees us, we can begin to see that He has forgiven us. He has already given us a clean slate. How can the church do a better job of supporting post-abortive women? First of all, we can do a better job by acknowledging that women and men within our churches are struggling with being post-abortive. Most churches don’t want to address the subject of abortion. ​Really the only time most churches address abortion is during “Right to Life” month, but there is so much more. This is really a symptom of not knowing who are identity is in or how to value life because maybe the woman that is carrying that baby or did at one time, doesn’t see herself as valuable. If this is the case, then how can she see the life as valuable that she is carrying? This is the topic of speaking directly to the hearts of those who need to know they are worthy! We need to have pastors and church leaders make this a priority and hopefully if they do, women and men will not sit in church and feel the cloud of shame looming over them. Many women feel guilty about their past and see themselves as flawed, not beautifully flawed. Could you offer a prayer below on their behalf? Zeph. 3:17 The Lord your God is in your midst, A victorious warrior. He will exult over you with joy, He will be quiet in His love, He will rejoice over you with shouts of joy. Thank you for encouraging us today, Shari. And for courageously sharing your story here and in your book, Beautifully Flawed. Shari Rigby got her start in acting as a lead in the Dove award-winning music video, “Slow Fade,” by Casting Crowns. Her feature films include Not Today and October Baby with leading roles in upcoming films, such as: Boonville Redemption (starring Diane Ladd, Ed Asner), Wildflower (starring Cody Longo and Nathalia Ramos),The Journalist (starring Sharman Joshi and Stephen Baldwin), and Extraordinary (starring Karen Abercrombie, Leland Klassen and Lindsley Register). Shari co-wrote her biography, Beautifully Flawed, with Claire Yorita Lee. Recently, Shari has completed a 7 day devotional titled, Pursue The Passion, for the re-release of The Passion Of The Christ. Shari’s directing debut was for her book trailer for Beautifully Flawed, which she co-wrote and produced. Shari is the Director of Broadcast Media for the Dream Center in Los Angeles. She is the Executive Producer and director of the Dream Center show currently airing on the Daystar channel. Shari is the founder of “The Women In My World,” a women’s group focusing on identity, purpose, ministry, serving others, mentoring and living life in Hollywood. Shari’s passion is serving others through the Dream Center Los Angeles and The Gary Sinise Foundation. She has worked for the Billy Graham Evangelistic Association and Samaritan’s Purse. Shari’s greatest gift of all is her family. Shari and her husband, Matt, have been married for twenty years and have been blessed to raise two boys together. *Watch the stirring trailer for Beautifully Flawed. Purchase a copy of Beautifully Flawed: Finding Your Radiance in the Imperfections of Your Life by Shari Rigby. Learn more about the inspiring movie, October Baby and watch Shari’s incredible testimony about her role in this movie. 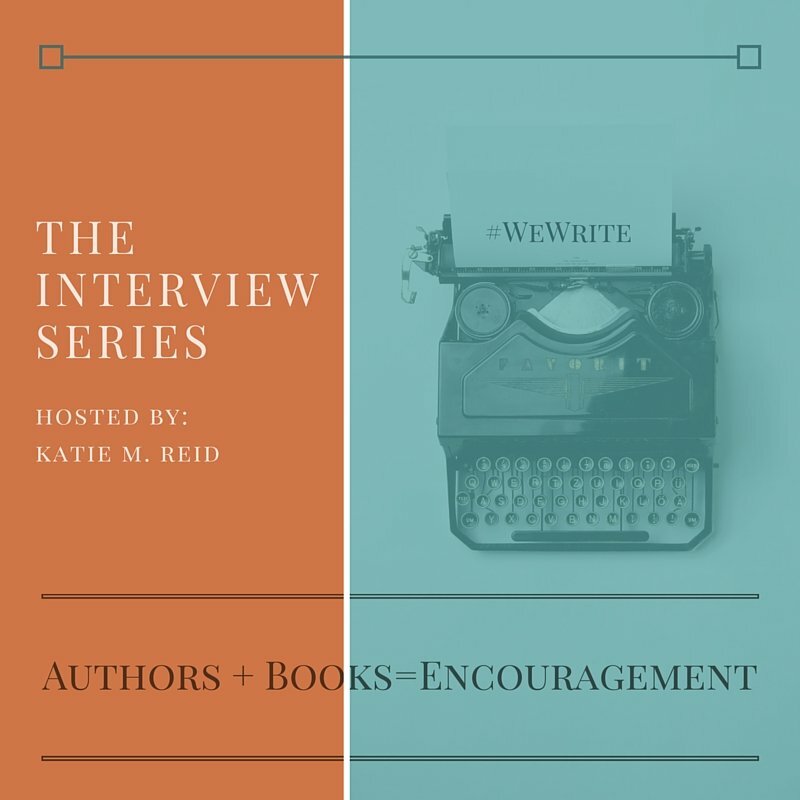 Read the rest of the Interview Series with a line-up of fabulous authors. Shari, Thank you for sharing your story. It’s beautiful and encouraging. I love the title of your book. Kati, thank you for sharing your space with Shari so we could all read her story!